How do you get an informed answer on the relationship between artificial intelligence and creativity? The 56 year-old Academy Award-winning multi-instrumentalist knows plenty about creativity. As a core member of Counting Crows since their start in 1990 and a hired gun for acts like Train and Cracker, Charlie’s understanding of atmosphere and emotion comes through whether he’s playing a Hammond, Mellotron, accordion or bass. He also happens to have a degree in artificial intelligence from Berkeley, something he put to work as a software engineer before joining Counting Crows. We caught up with Charlie while he prepared for the band’s summer outing and talked about the role of emotion in writing parts, whether robots can write songs, and why Counting Crows fans are some of the smartest around. First, thanks for taking the time to talk to us. What do you find yourself up to today? Well, my family and I just got up to northeastern New York. We’re staying at a friend’s house in the woods for a couple of weeks, taking a little family vacation. We’re going to be touring from July until October. I saw your schedule and it looks pretty hectic. How often are you on the road now? We still go on the road every year for maybe a third of the year, which is a lot. Spend a lot of our time on the road. How do you coordinate? Are you guys all scattered around the US or are you all still located around California? Yeah, we are. We started around Berkeley, Adam Duritz, David Bryson and I. It started around there, but basically we’re a touring organization, so we all moved. We’ve got somebody in Seattle, someone in San Francisco, Berkeley, LA, Richmond, and New York. It’s been two years since Somewhere Under Wonderland. Has touring with that taken up the bulk of those years? Have you guys managed to do some writing? We’re doing a little writing, working on a few things. We didn’t know about when to do the studio. We were thinking maybe spring, but we’ll see what happens in December. I remember reading when you guys were pinning down ideas for Somewhere Under Wonderland, you were using phones, laptops, things like that on the road to pin down ideas. Are you still doing that? Typically, the genesis of a song is some idea that you have at some random time. I think Adam talks about one of the songs, starting out recording on his cell phone. You have a thought and you might have some cheap recording software on your phone just to get it down. Years ago when people used to have answering machines, people wouldcall themselves and play something into their answering machine just to get it down [Editor’s note: Béla Fleck still does this]. Leave yourself voicemails before all the recording stuff of today. Knowing you’re one of the band’s multi-instrumentalists, how do you go about selecting what to use for a song? I’m usually looking for an atmosphere. A texture. I got bored that there was sort of this fashion in the ‘90s of trying to find some obscure keyboard. I mean, that still has its place, but I’ve kind of drifted away from that and lean more towards playing an instrument that I can improvise [on] and play really well. So on this last record, I played a lot of piano, just because piano is great. I have a really nice Vox, an old Vox Jaguar that I love to play. Other than [that], a Whirly. But most of the tricky sounding stuff, the weird sounding stuff, I’m doing with my hands. You can make a Whirly sound magical because it’s got a lot of effects on it. But it’s kind of more interesting to do that with your hands. Knowing your breadth of experience in instrumentation and being a composer, do you find yourself gravitating toward those vintage instruments? Only because I play them. I’ve been playing a [Hammond] B3 for a long time, and I know how to do a lot of different things with it. I know how to shape the sound, how to move it somewhere, make it go. My hands know what to do. Especially piano. You can always find a place that works with the singer on piano. I do use a lot of Mellotron. I like Mellotron because of the atmosphere. 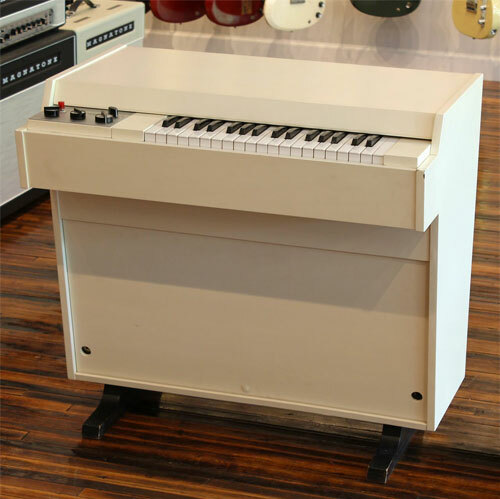 The thing I like most about Mellotron is that it’s very difficult to play, right? It has terrible action. I mean, it has Mellotron action, which is kind of like pushing play on a kick pad, like a cassette. Do you remember those old cassette players that had the five buttons on one side? That’s what a Mellotron feels like. So you can’t play naturally. That’s really interesting. I had never thought about it like that. Actually, on the subject of the Mellotrons and the B3s, what do you think of these new iterations of plugins and effects that are coming out? Like that big series Electro-Harmonix did with the MEL9 and the B9? No two Mellotrons sound alike, and no two B3s sound alike. Each one has its own character, especially the B3s. It’s just far too broad an instrument to be really captured. If you leave it up to the programmers at the software factory, they’re going to pick six things that everybody’s heard before. But a Hammond is a much more subtle instrument than that. You can do a lot. You can play a lot of bolts. Those six presets aren’t going to be what a B3 is. I’m thinking about a couple things, and one is that there’s a learning curve in an instrument, you know? If you’re just scrolling through the sounds trying to find something good, you’re not going to find something that can play the subtlety. You can make an instrument sound great by the way you play it, or you can make it sound great by the way you orchestrate it. There are two sides to it." You could find something to carry a melody, which might be what you want. If you just want to carry a melody, that’s fine. That’s job number one. But if you want to shape the song, shape the mood of the song, make it feel like something, you have to play well. Or you have to think like a producer or a film scorer. You have to compose, you know? You can make an instrument sound great by the way you play it, or you can make it sound great by the way you orchestrate it. There are two sides to it. I had never really thought about music-making modernity in that way. Whereas most people see newer technology as offering so many more possibilities, they’re really kind of reductive in that they can’t truly emulate the experience of a B9. Yeah, so there’s two sides to playing. Like say you have a Stradivarius violin, you have the best violin in the world. But it’s how you play it. It’s a big thing. It’s just the nature of electronic software instruments that you don’t get a lot of practice time. You can’t practice some sampler. But there are people who learn certain samplers and synthesizers really well. It’s not what you know. It’s how much you practice. Jenny Conlee’s work with folk rockers the Decemberists crosses genres, era and audiences. 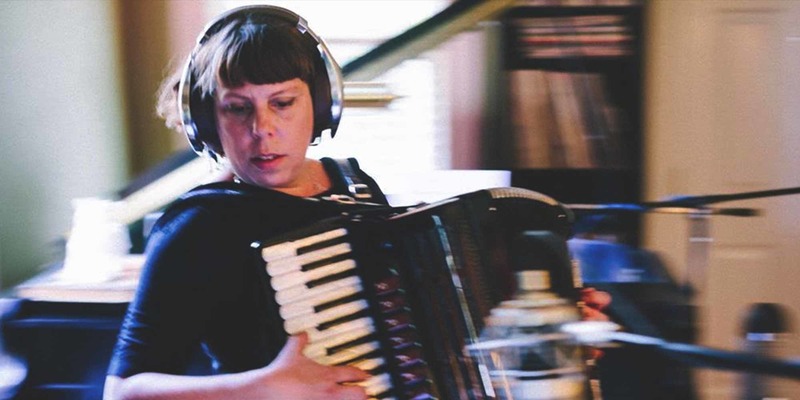 She spoke to Reverb about the evolution of her accordion and the challenges of packing up her kit and taking it out on the road. There’s been this popularization of the accordion and more folksy instruments in the past 10 to 15 years, looking at bands like The Decemberists as a reference. I kind of see you guys as one of the progenitors of that renaissance. 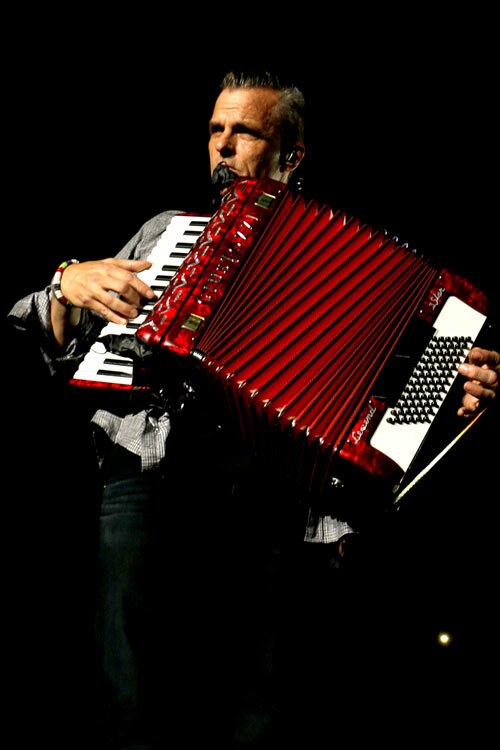 What do you think of the renewed interest in the accordion in mainstream music? Oh, I don’t know. It’s been around. It’s a card. I like playing accordion because I like the way it makes you feel. I don’t play it like an accordion player. I play it like I play it, you know? I don’t do all that Cajun stuff. I use it as an instrument way more than I would ever use it as a hammer—as a rich, emotional pad, like the way someone might use strings. This is interesting talking about the emotion and emotional depth of an instrument. You have a degree in artificial intelligence from Berkeley, correct? Knowing that you’re this very emotionally attuned musician who also has a deep understanding of AI, what are some interesting intersections that you see happening between music and AI? Like earlier this week, Google’s robot just made the first completely robot-orchestrated song. A song written by a robot? Well back in the ‘50s, there was something called the LEX Suite which was a statistical program that imitated Bach. So people have been doing that for awhile. Computer-generated music is a really old field. Oh. I wasn’t aware of that. Computer-generated music is a very interesting subject to me. I think one of the interesting things about it as a composer is that in certain areas of your composition, what you’re really looking for is just randomness. You’re looking for a perfectly unexpected thing to happen. Of course, machines are excellent at just being perfectly random. I mean, it’s the main reason why machines can’t compose. Tell me more about this Google robot that composed a song. I haven’t heard of it. I think it was a four-minute composition. It was only four notes, but now I guess it was just sort of sensationalized since most people don’t know—I didn’t know—that so much had been done in the way of AI and composing over the last 60 years. It was fascinating to hear about. Well people make an assumption about the differences between humans and machines that isn’t quite true. People would like to believe that there’s a magical essence that makes a human being a human being and makes it different than all other things on earth. The truth is much, much more complicated. People point to creativity as something that’s somehow magical, somehow metaphysical, you know, comes from some other plane. But the essence of creativity is making choices, making guesses. These are things that machines are so good at. It’s funny how people think that creativity should be really hard, but that’s not any harder than any other thing that we ask computers to do. Guessing at the right stock to pick in a financial program isn’t a lot different than guessing the right notes to play. They’re both looking at this certain random signal. Anyway, people tend to think creativity’s some kind of a high bar, but it’s actually not. It’s one of many high bars. 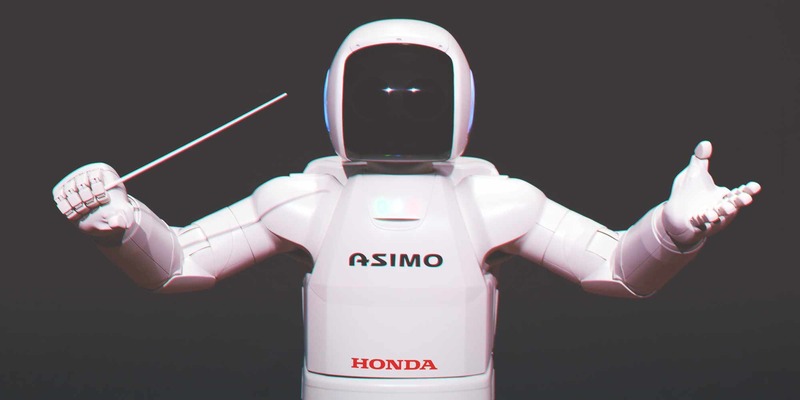 Do Robots Prefer Digital or Analog Music? Today, if we really want to know whether an AI would prefer digital or analog, we probably need to understand how AI inventors program for preference. Twenty-plus years down the road with Counting Crows and also as a composer, how has that affected your process? How have you seen the way you go about songwriting change over the course of your career? 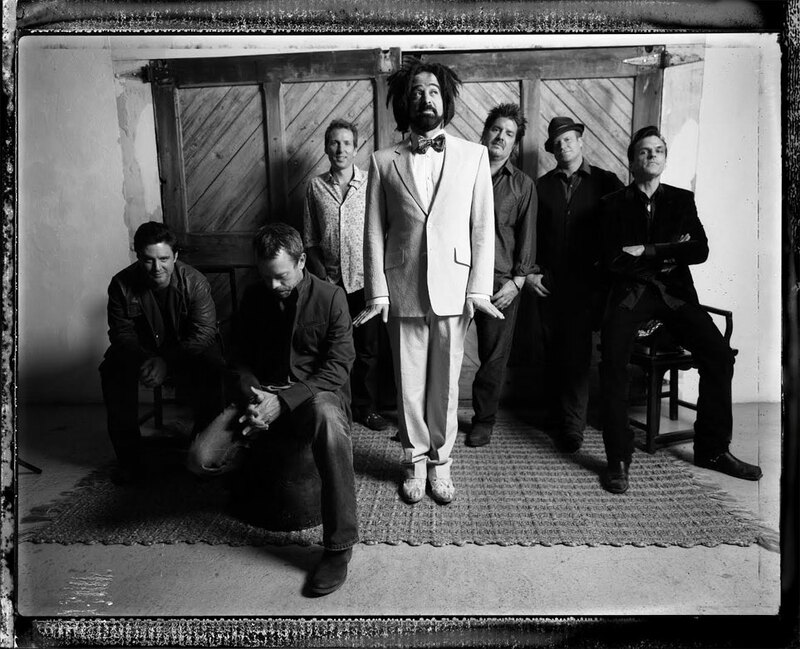 Well, Adam wouldn’t want me to say this, but I don’t really see myself as a songwriter in Counting Crows. I see myself as a songwriter’s assistant [laughs]. There are a large number of songs in Counting Crows that either started with a chord progression of mine or where Adam had most of the song and said, “Charlie, could help me find where this goes next?” So Adam is the writer. All our songs are lyric-driven. All of us, everybody in the band, are musicians in various ways by bringing home chord changes, coming up with new parts, moving things around. There are a few songs of ours that grew almost entirely out of recordings that I made. Then again, the lyrics and melody are all Adam. I think at the end of the day, a song is a lyric and a melody. The chord changes and the instrumental stuff that we do help that melody and the lyrics go. The way that I was introduced to you guys and the way that I really came to love your music was this tribute album that came out that had a lot of my favorite bands on it, bands like Boys Night Out. It was called Dead and Dreaming: an Indie Tribute to Counting Crows. Do you recall that by any chance? You know what, I haven’t heard that. Yeah. I was introduced to that as part of a younger audience and then listened to you guys after finding that. On the subject, what’s the audience composition you see of Counting Crows now? Well, there’s a certain group of people who have known us since college. But there’s younger people. If you read the lyrics, they’re very literary. They stand up as kind of a novel. So our audiences tend to be people who are more into literature. There was a study somewhere that found out that Counting Crows fans are among the smartest fans and have higher IQs [you can find the “study” here, actually measured average SAT scores of different colleges correlated to the most liked artist pages on Facebook for that college]. People who really know us, they know us because of the literary quality of the lyrics. And you know, we’ve had some hits, so we draw some people from there. But I think the core of our fans are people who like artistic things. Artistic music. I think our fans like us for that. Where are your favorite places to play? Where are you looking forward to hitting on this upcoming tour? You know, we’ve been touring for a long time, and there are a lot of places we’ve been to many times. We’re going back to Amsterdam. We like spending a lot of time there, but we also like New York, Boston. There are so many great cities in the U.S. and Europe. To us, they all feel like home.